Were Hedge Funds Right About Deserting GlaxoSmithKline plc (GSK)? Is GlaxoSmithKline plc (NYSE:GSK) the right investment to pursue these days? Money managers are taking a bearish view. The number of long hedge fund positions retreated by 1 lately. Our calculations also showed that GSK isn’t among the 30 most popular stocks among hedge funds. Let’s take a glance at the recent hedge fund action encompassing GlaxoSmithKline plc (NYSE:GSK). How have hedgies been trading GlaxoSmithKline plc (NYSE:GSK)? 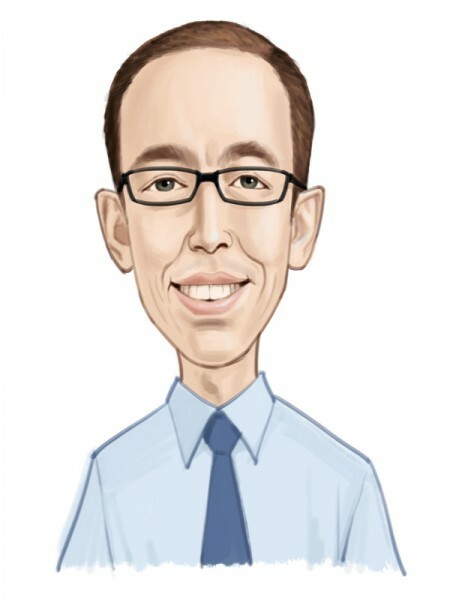 Heading into the first quarter of 2019, a total of 23 of the hedge funds tracked by Insider Monkey held long positions in this stock, a change of -4% from the previous quarter. Below, you can check out the change in hedge fund sentiment towards GSK over the last 14 quarters. With hedgies’ sentiment swirling, there exists a select group of key hedge fund managers who were boosting their holdings substantially (or already accumulated large positions). When looking at the institutional investors followed by Insider Monkey, Fisher Asset Management, managed by Ken Fisher, holds the biggest position in GlaxoSmithKline plc (NYSE:GSK). Fisher Asset Management has a $538.9 million position in the stock, comprising 0.7% of its 13F portfolio. The second largest stake is held by Jim Simons of Renaissance Technologies, with a $444.9 million position; 0.5% of its 13F portfolio is allocated to the company. Remaining members of the smart money that hold long positions encompass Peter Rathjens, Bruce Clarke and John Campbell’s Arrowstreet Capital, Stephen DuBois’s Camber Capital Management and John W. Rogers’s Ariel Investments. Since GlaxoSmithKline plc (NYSE:GSK) has witnessed declining sentiment from the smart money, it’s safe to say that there were a few money managers that elected to cut their positions entirely by the end of the third quarter. At the top of the heap, Stephen J. Errico’s Locust Wood Capital Advisers cut the largest stake of all the hedgies monitored by Insider Monkey, comprising about $28 million in stock. Michael Castor’s fund, Sio Capital, also cut its stock, about $14.6 million worth. These moves are intriguing to say the least, as aggregate hedge fund interest fell by 1 funds by the end of the third quarter. Let’s now take a look at hedge fund activity in other stocks – not necessarily in the same industry as GlaxoSmithKline plc (NYSE:GSK) but similarly valued. We will take a look at Accenture Plc (NYSE:ACN), HDFC Bank Limited (NYSE:HDB), Altria Group Inc (NYSE:MO), and United Technologies Corporation (NYSE:UTX). This group of stocks’ market valuations are closest to GSK’s market valuation. As you can see these stocks had an average of 41.75 hedge funds with bullish positions and the average amount invested in these stocks was $2008 million. That figure was $1627 million in GSK’s case. United Technologies Corporation (NYSE:UTX) is the most popular stock in this table. On the other hand HDFC Bank Limited (NYSE:HDB) is the least popular one with only 28 bullish hedge fund positions. Compared to these stocks GlaxoSmithKline plc (NYSE:GSK) is even less popular than HDB. 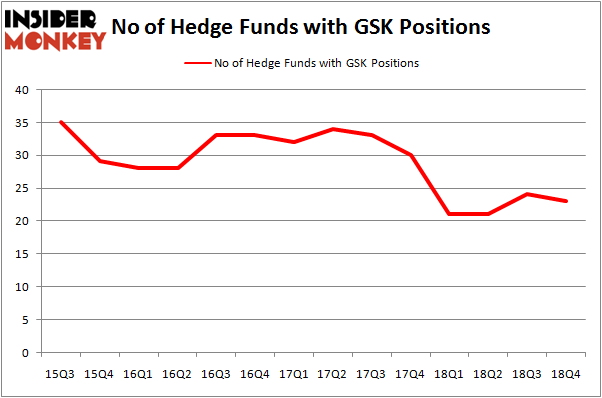 Hedge funds clearly abandoned GSK for more promising stocks. Our calculations showed that top 15 most popular stocks among hedge funds returned 19.7% through March 15th and outperformed the S&P 500 ETF (SPY) by 6.6 percentage points. Unfortunately WFC wasn’t in this group. A few hedge funds that bet on GSK were disappointed as the stock returned 7.9% and underperformed the market. If you are interested in investing in large cap stocks, you should check out the top 15 hedge fund stocks as 13 of these outperformed the market. Itau Unibanco Holding SA (ITUB): Are Hedge Funds Right About This Stock? Were Hedge Funds Right About Buying United Technologies Corporation (UTX)? Were Hedge Funds Right About Dumping Twenty-First Century Fox Inc (FOX)? Hedge Funds Have Never Been This Bullish On Thermo Fisher Scientific Inc. (... Do Hedge Funds Love Diageo plc (DEO)? Were Hedge Funds Right About Buying Costco Wholesale Corporation (COST)?